The Golden Age antihero drama has finally reached its logical conclusion: a show about a tortured Antichrist. Damien descends from Richard Donner’s The Omen, a movie that imagines what a responsible father might do if he discovered his son were the Antichrist while the boy is still small enough to overpower. Think of presidential hopefuls discussing whether or not they would kill baby Hitler. That’s the kind of silly-sick hypothesis The Omen gets up to in between baboon attacks and freak decapitations. But like all sons, Damien rebels. Developed by The Walking Dead’s Glen Mazzara, here’s a show that imagines what a responsible do-gooder might do if he found out he were the Antichrist. Truly terrifying stuff. To bridge the gulf, Damien relies on that reliable soap trope, amnesia. There’s also a good 15 years’ worth of time missing, but let it have its premise: Damien, the devil baby from The Omen and its sequels, is now celebrating his 30th birthday (in the present day) covering a violent government crackdown in Syria. He doesn’t remember his childhood. 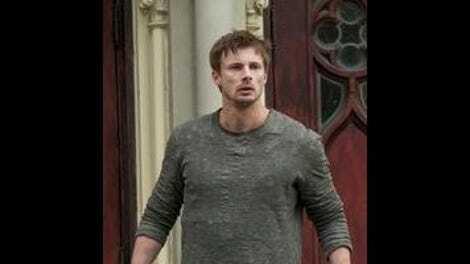 Apparently this incarnation of Damien, a handsome, hollow dope played by Bradley James, responds to his childhood trauma with repression rather than sadistic glee. As the tanks roll in, an old Syrian woman suddenly grabs him by the cheeks and says, “Damien, I love you. It’s all for you,” and suddenly memories start resurfacing. By the end of the pilot Damien’s pretty sure he’s the Antichrist. So how does the show approach this identity crisis? By focusing on its antihero’s sense of responsibility. Everyone he loves will die, and not only can he do nothing to stop it, but he’s the one unleashing the Armageddon that’s swallowing them up. The question is, why does the Antichrist love people at all? Isn’t he supposed to be living it up, rising to power, performing great feats of destruction? This show is like when you fantasize about immortality and then someone says how, actually, it would be horrible to outlive everyone. What a drag. So that’s our Damien, a heroic war photographer who starts to get some signs that he is the Antichrist, the biblical destroyer of the world, and spends his time neatly compartmentalizing the eerie portion of his life instead of immediately tweeting a photo of the 666 birthmark on his head with a funny caption. James’ performance is all unmotivated wandering, unmotivated stasis, unmotivated breathing, but that’s in keeping with the lack of motivation in the scripts. In the opening scene Damien wails, “What did I ever do to you?” at a church crucifix. “Answer me!” (That’s the level of angst we’re dealing with—real Walking Dead stuff.) And then the show flashes back to three days earlier. 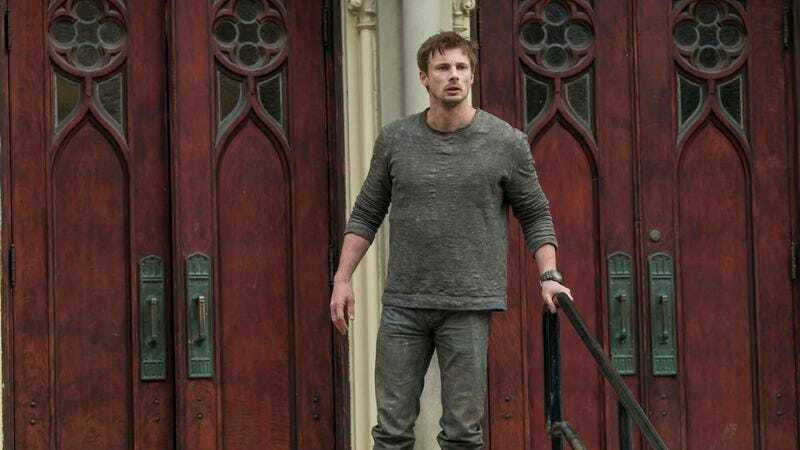 Yes, the big climax the pilot builds to is Damien brooding in a church. It’s Vinyl all over again, and in both cases, it should be said: Friends don’t let friends watch pilots that open in medias res. What’s the story here? Is this Breaking Apocalyptically Bad, the story of a decent dude discovering that he’s not all that decent when given the opportunity? Is this a butterfly effect thing where Damien resists the call and finds that his resistance is what causes all the carnage in his destiny? Or is this the story of a prophecy averted in which Damien’s been fated for something that he could potentially avoid, say, by turning out not to be the Antichrist after all, ancient scriptures be damned? There’s no clear indication from the first handful of episodes, although there are scant hints for all three of those scenarios. Whatever Damien is, it ain’t The Omen. Swirling around Damien are a detective who smells something fishy about him, a peer who starts to wonder about him herself, and a powerful network of Vatican assassins who have been keeping tabs on him and are well aware his reign is nigh. While Damien sometimes resembles The Da Vinci Code more than The Omen, there’s a buoyant comic book feel to the plots outside whatever’s going on with Damien himself, the way there’s always another entity for Damien to deal with. He can dispense with one agent, but the institutions will keep coming after him. Best of all is Barbara Hershey’s Ann Rutledge, Damien’s guardian angel, er, guardian devil, a powerful corporate honcho with connections to a mysterious satanic entity intent on protecting the young Antichrist. She’s been watching him from afar all these years, but now it’s time to make herself known, to help Damien get on the right path, the one that will help him fulfill his dark destiny. Damien may be a train-wreck, but Hershey has a magnificent power to drown out all the bad choices made around her so she can do her thing—sly, seductive, aching lioness love for surrogate son. Her relationship to Damien is a mix of capitalist, temptress, and mama bear, with just a hint of what feels like incestuous desire, even though she’s not Damien’s actual mother. Hershey brings the silky sin you expect from the offspring of The Omen. With a visual palette of dim neutrals and its only modes of darkness being dour realism and harmless fantasy, Damien suggests nothing so much as a hotel bar. Its death sequences are hit or miss when it comes to horror, but at least they display some imagination. One of them even manages to shock, and another cleverly crystallizes Damien’s dilemma. Between Hershey and the freaky deaths, there’s power in Damien’s dark side. If only it would embrace it.